Let me be honest here. I the 6 years I’ve lived in Japan I always got my make up remover and cleansers from Europe or Korea. I didn’t really have faith in the liquids here that you just rubbed on and then your make up is supposed to disappear. I always had the make up remover on cotton water and rubbed away away and away. 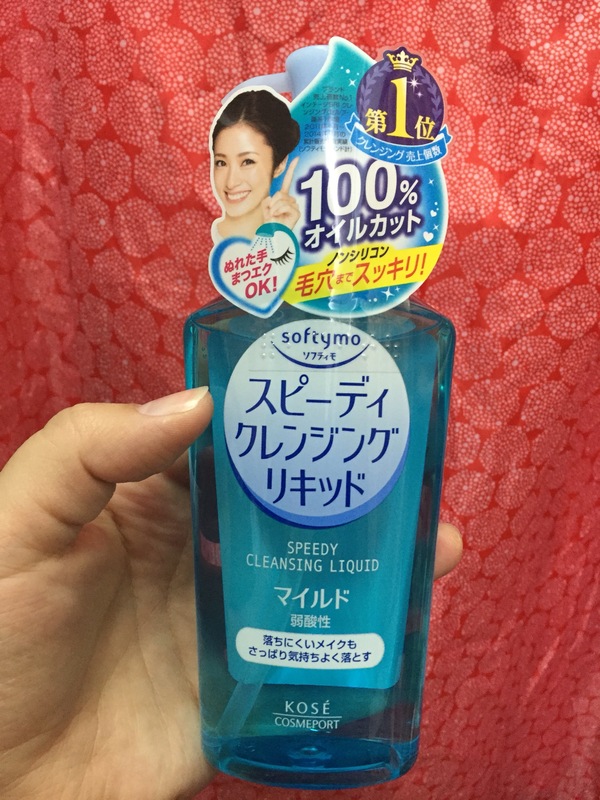 Then my friend let me try this Japanese make up remover, promising that this would completely take away all my eye makeup. I wear quite a lot of mascara and I am used to the fact that it never fully disappears unless I was my face thoroughly. She told me to but this gel-like fluid on my hands and to rub on my dry skin and over my eyes. I was really skeptical at first. When I rubbed this gel on my face and over my eyes I could feel the dry mascara crumble. I washed my eyes well with it and then rinsed my skin and my hands. I was so blown away, it really took everything off! The next day I had to get one for myself. It was a bit pricy, 500¥, which is a lot for me because I usually only pay half for make up removers from Drugstores in Germany but this is definitely worth the prize! I know I have been posting a lot of coffee posts but the days are fast and busy and I am tired!!! I didn’t have much sleep lay night and coffee saved my morning. 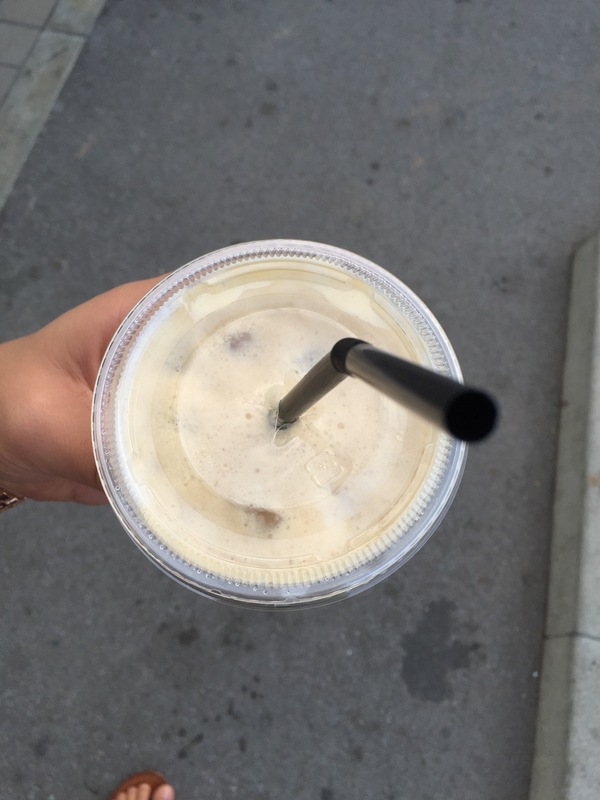 I have a class this afternoon and a busy night and really crave some of that Fami Iced Latte I had the other. 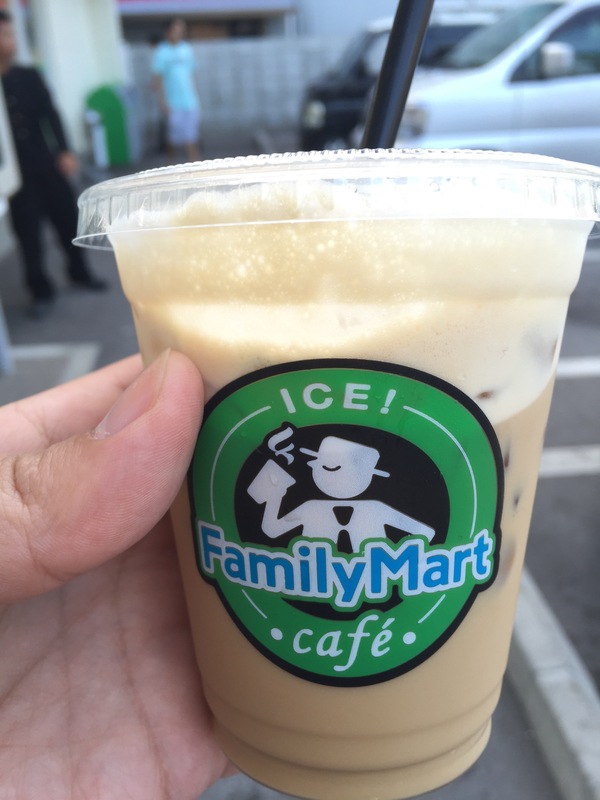 I went to a Japanese convenient store named Family Mart. 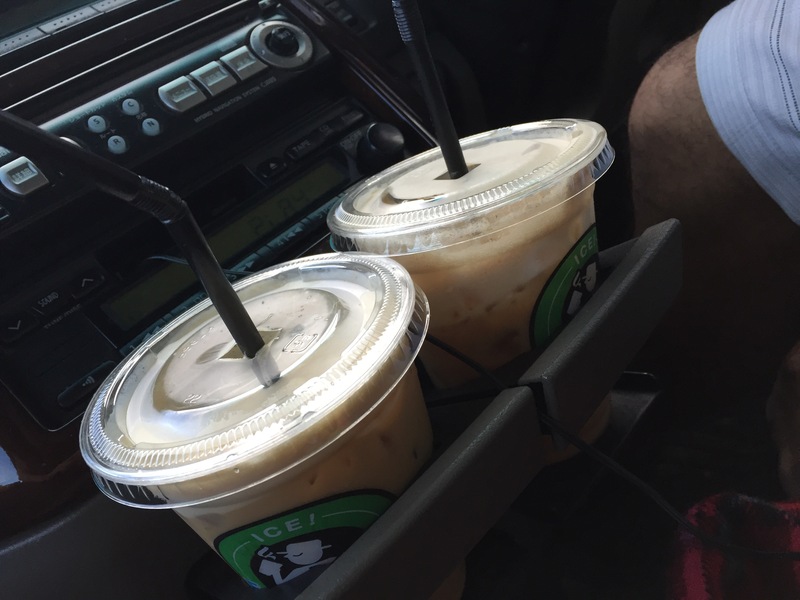 The coffees you can make at their machines are out of this world! Check this one out. 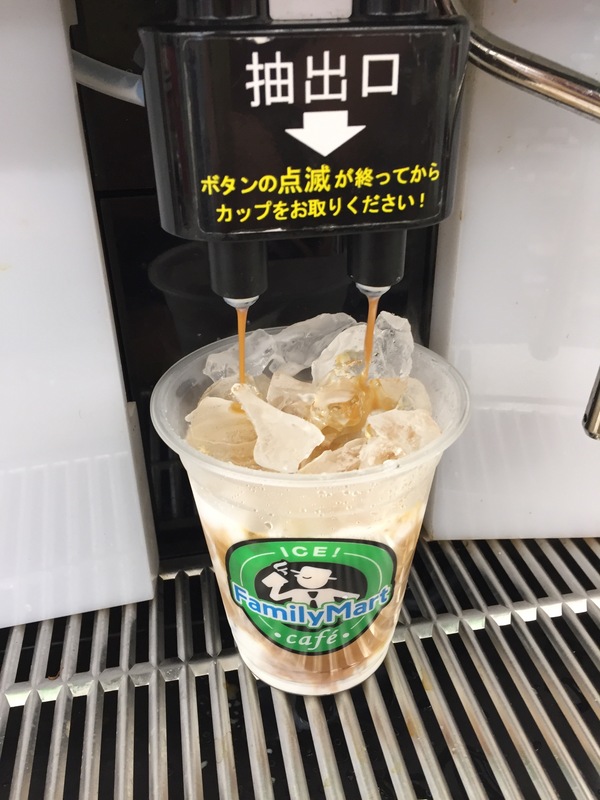 It’s a Iced Latte with Caramel for ¥180. If you get smaller cups the prizes are pretty nice. 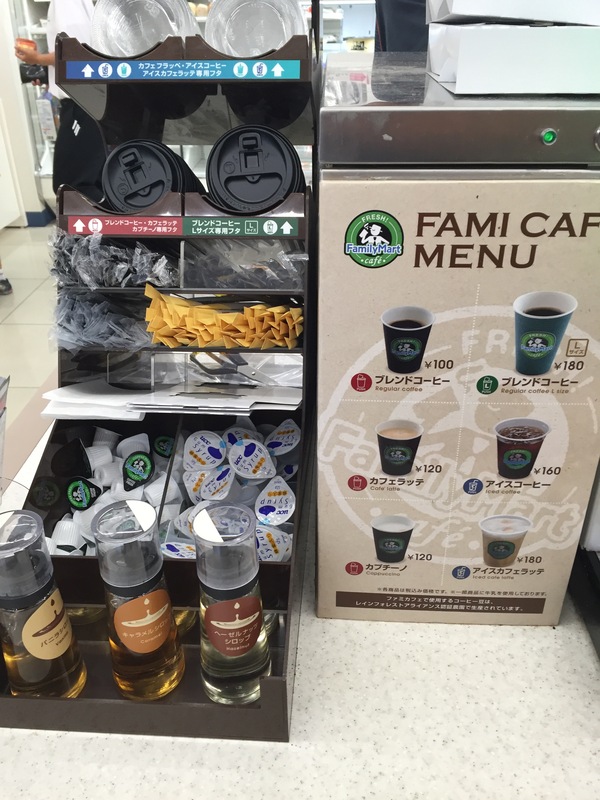 A fresh small coffee costs ¥100! Saturday was my day off in a very busy week so I went to a Japanese class and enjoyed hanging out with all kinds of foreigners and Japanese Okinawians. 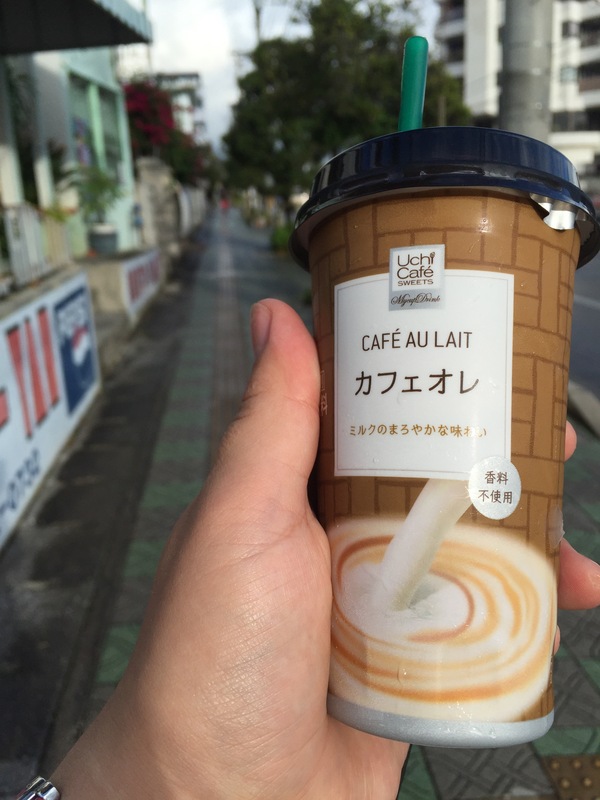 On the way back I grabbed this coffee to enjoy my walk. It’s from Lawson and was actually pretty good! 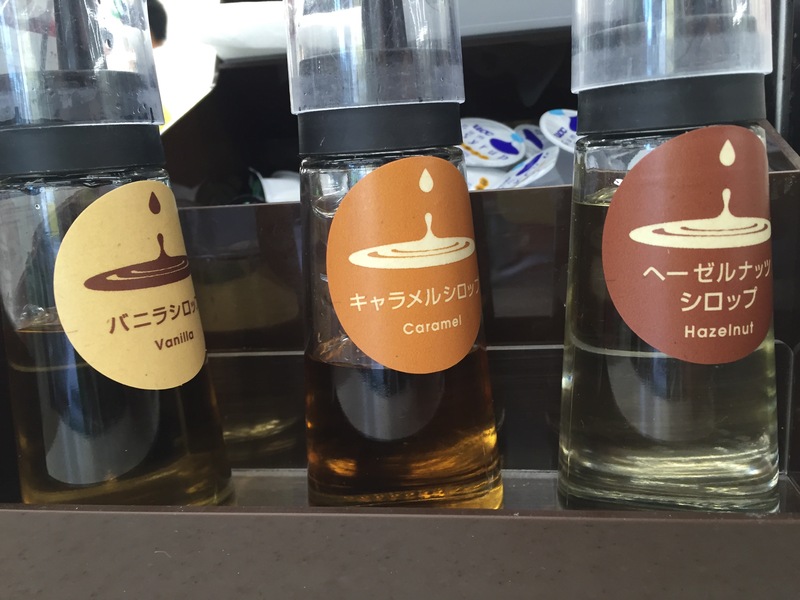 The Japanese love their coffee. 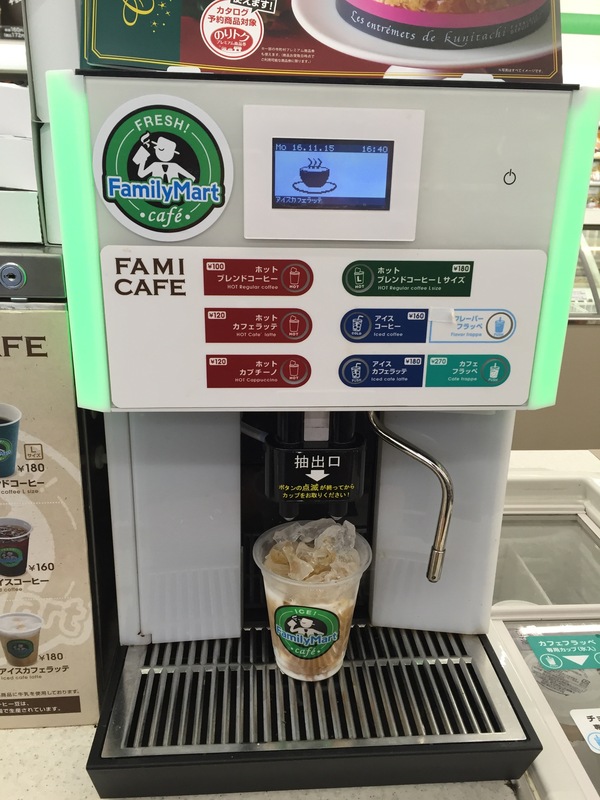 Nihon is actually developing it’s own coffee culture now. And since one of the best coffee equipment comes from Japan, they make some pretty serious business coffee. 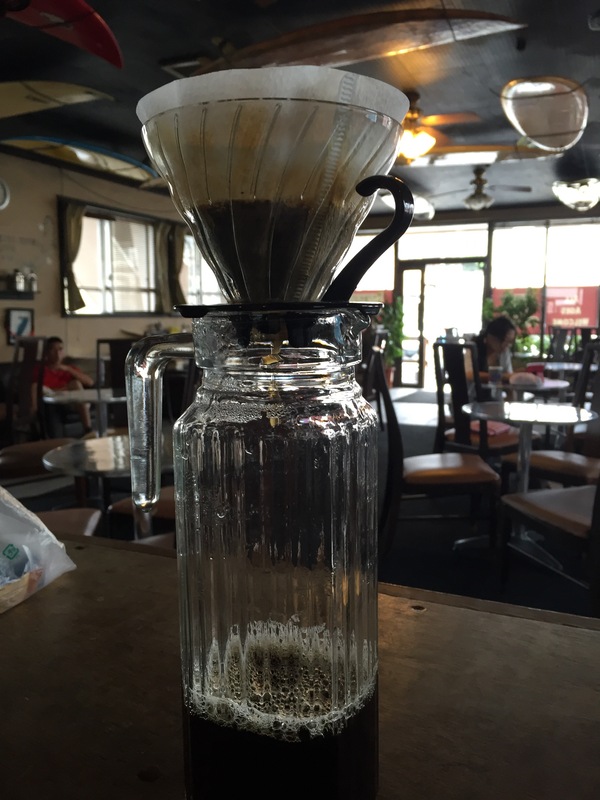 You see me making iced coffee with a Hario glass dripper. Hario is a great brand, a bit pricy if you want to get a kettle or even a bronze kettle but worth every yen. 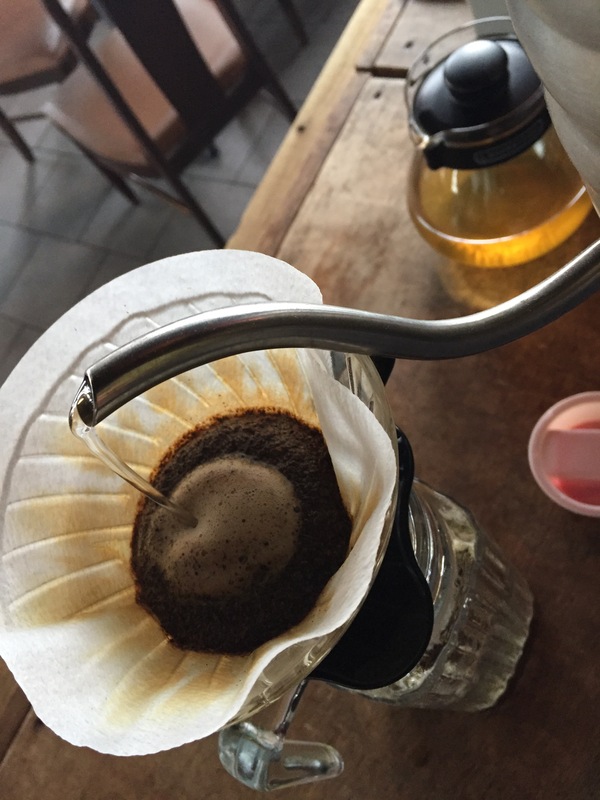 In order to take the paper taste out of your precious coffee, place the filter in the dripper and wet it with hot water. 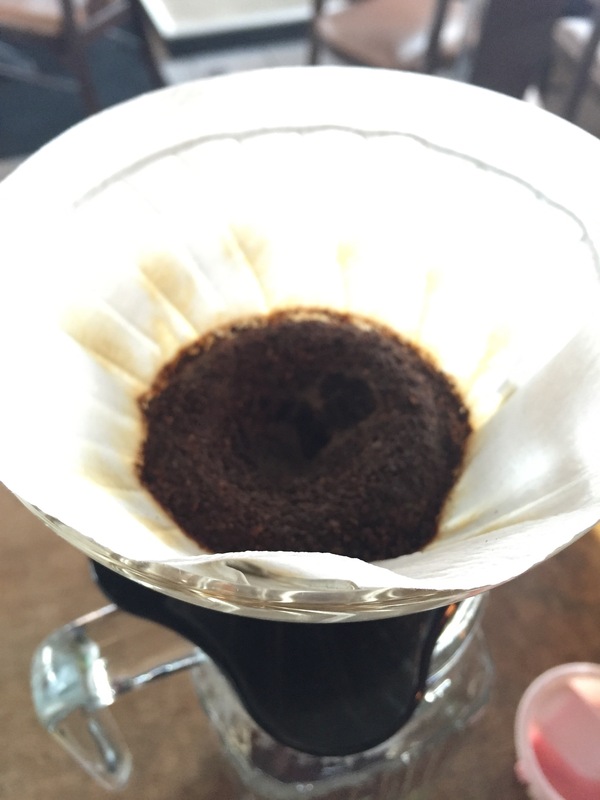 Dump the water out and insert the coffee into your dripper. With a few swirls wet the coffee in the middle and wait a bit. 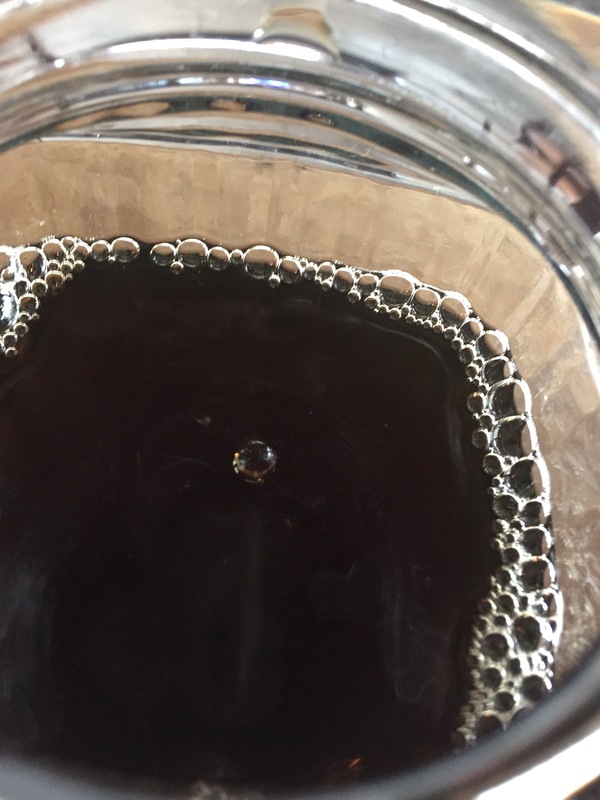 If you use freshly grinded beans you can see how bubbles release the bitter fumes of the coffee. Make sure you stay in the middle of the coffee bulb that is forming in order to prevent the bitter taste in your coffee. If you stay constantly in the middle the coffee will taste smoother. 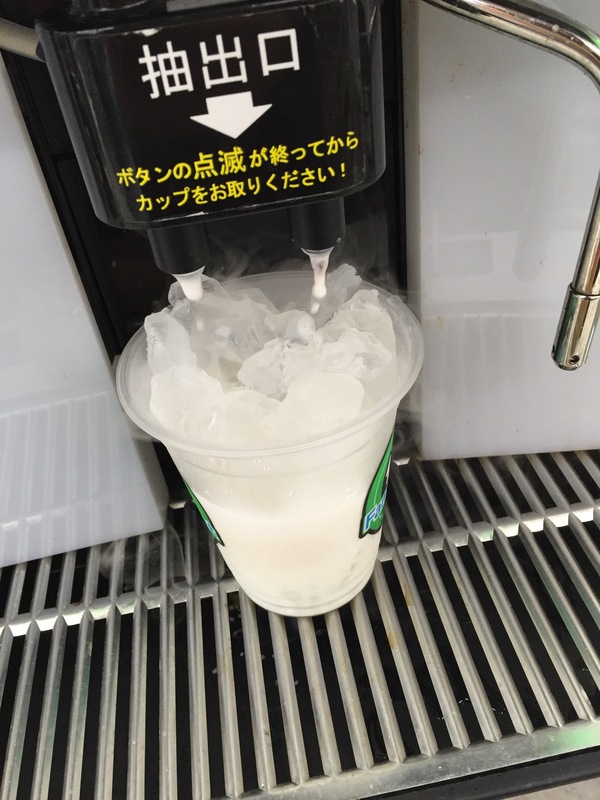 Pour slowly and then wait a few seconds. Let the coffee bulb sink a little bit before continuing to pour. 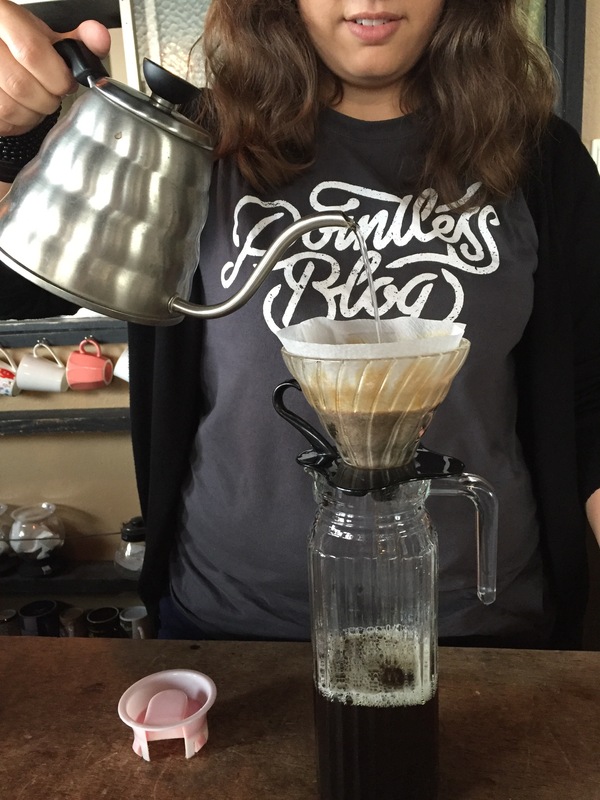 My arm usually gets heavy from pouring so slowly when I make a big batch but it’s worth the wait. 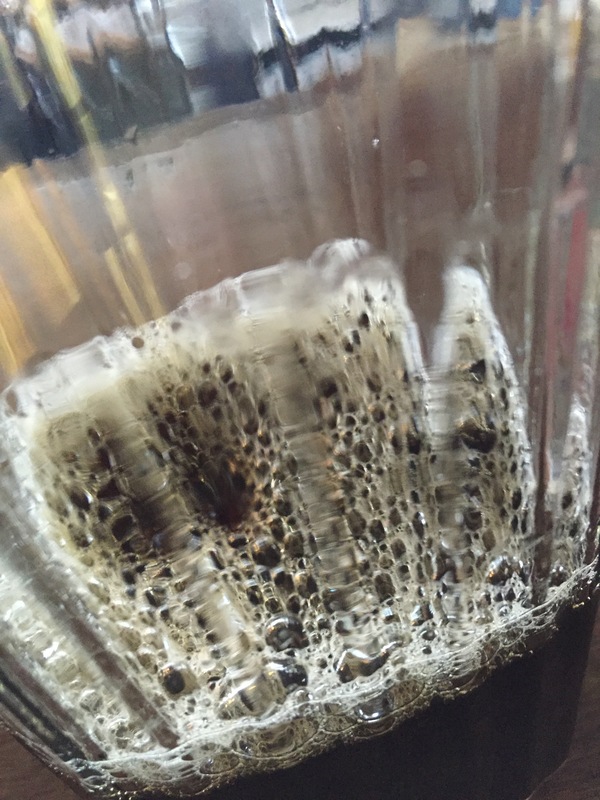 If you dump the whole water in at once you ruin your coffee. Check out this video of my friend to see how he makes coffee. He does not pause after pouring. We only found out recently that pausing the pour and letting the grinds sink makes a very smooth taste. 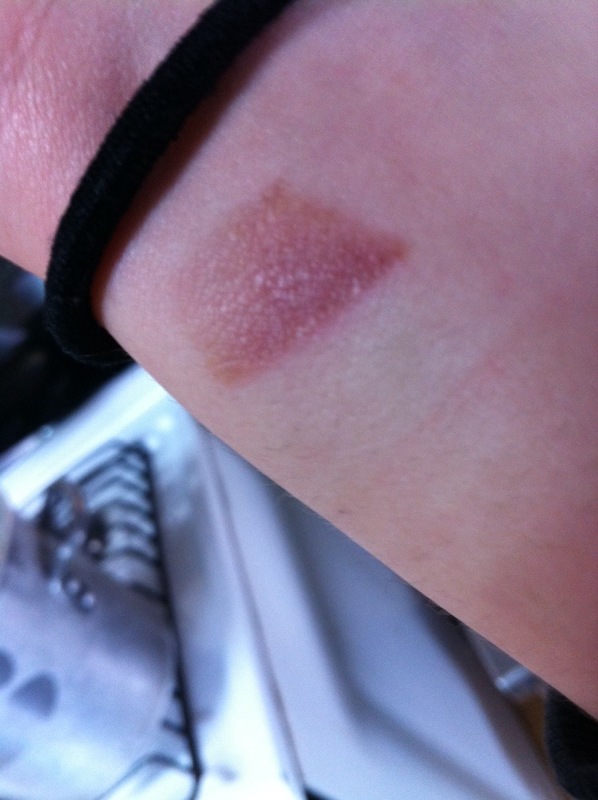 My burn looking a bit… worse? It doesn’t hurt as bad anymore but it doesn’t look better… Unless this is the color of the healing process.